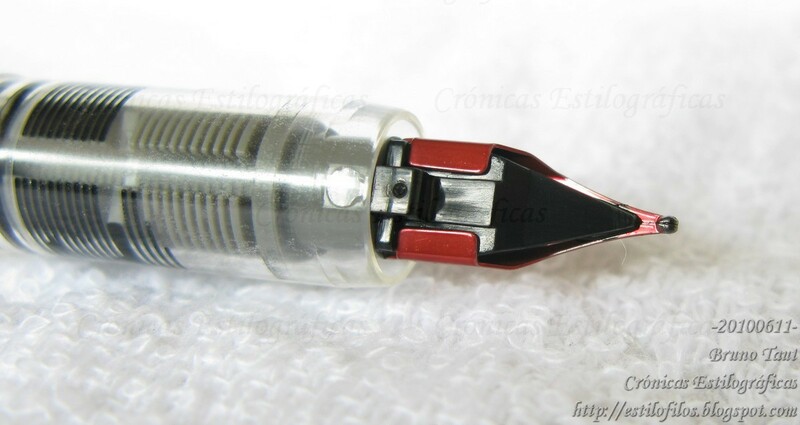 The ink business seems very attractive… even to companies with no interests in the fountain pen world. 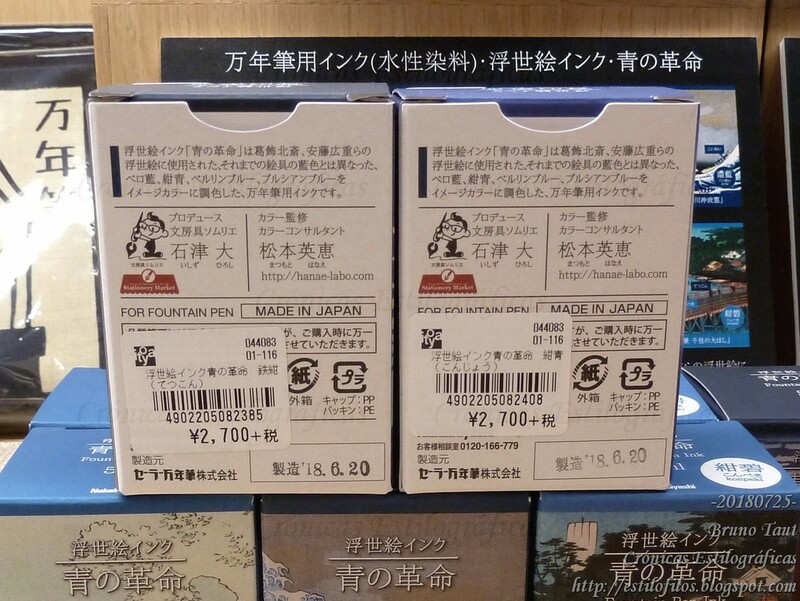 Such is the case of Nakabayashi, a Japanese company producing stationeries and office supplies. And the closest to a fountain pen it has is a set of notebooks with a decent paper—and no pen, although there is a link to Taccia pens on its website in Japanese. 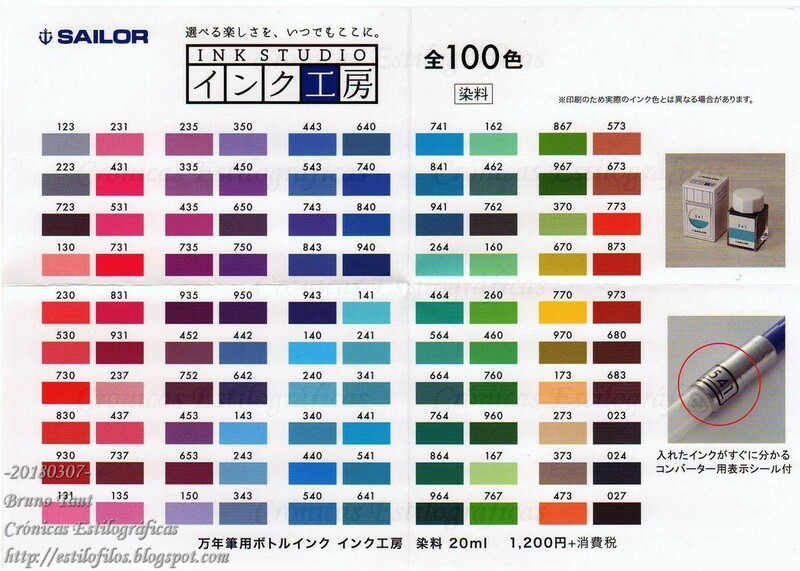 But ink business might be too good to ignore and Nakabayashi searched the company of Sailor to produce its own line. The five brand-new inks by Sailor... or by Nakabayashi. So far, these Nakabayashi-Sailor inks follow a very Japanese argument—colors from ukiyo-e engravings by Hokusai and Hiroshige. The first batch of colors is named “Blue Revolution” and suggest that there might be more revolutions in the future. Well, more colors. The first revolution was blue. Can we be sure thse colors could not be found in the market before? The “Blue Revolution” is formed by five colors named as “konjô”, “konpeki”, “ai-iro”, “tetsukon” and “koiai”. 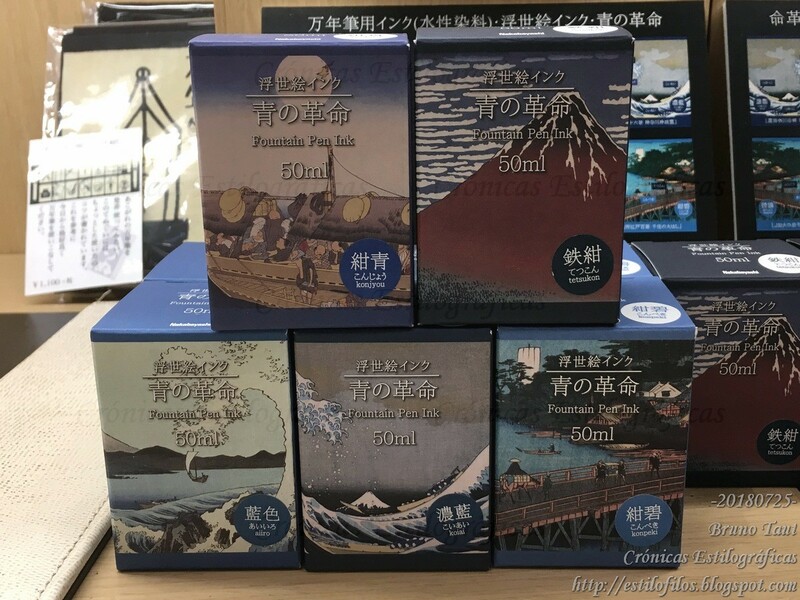 They come in 50 ml bottles and the boxes are decorated with reproductions of popular engravings by the above-mention artists. 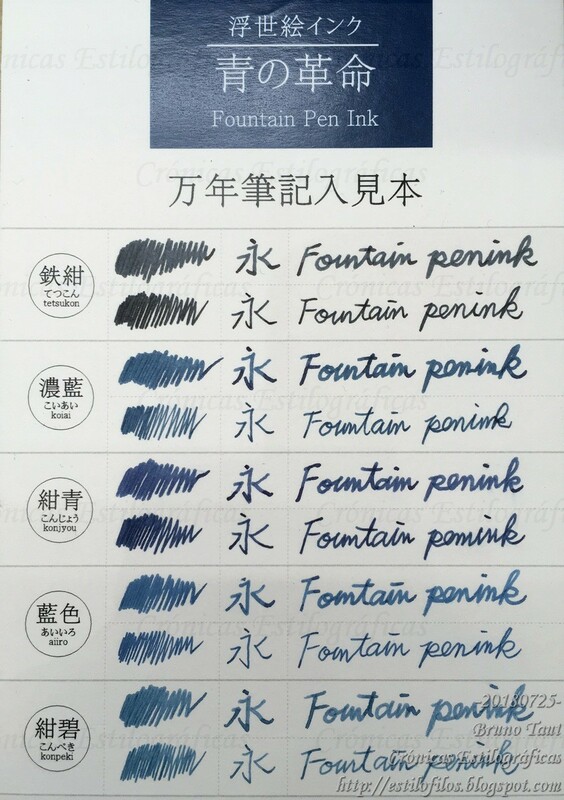 The ink bottle resembles the new presentation of regular (black, blue and blue-black) Sailor inks, but the aspect ratio is different. Photo courtesy of TinJapan. The price in JPY 2700 plus tax. This means JPY 54/ml, which is in between the Shikiori line of inks at JPY 50/ml and the Ink Studio series at JPY 60/ml. Many actors involved in the this operation: Nakabayashi, Sailor, a "stationery sommelier" by the name of Hiroshi Isuzu, and a color supervisor named Hide Matsumoto. 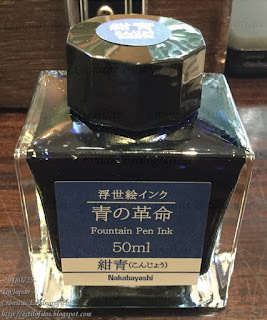 Am interesting feature of these Nakabayashi inks is that they are not associated to a particular shop –with a limited distribution—but to a whole company whose distribution network spans over the whole country and beyond. We might need to wait, though, to see where these inks might become available. 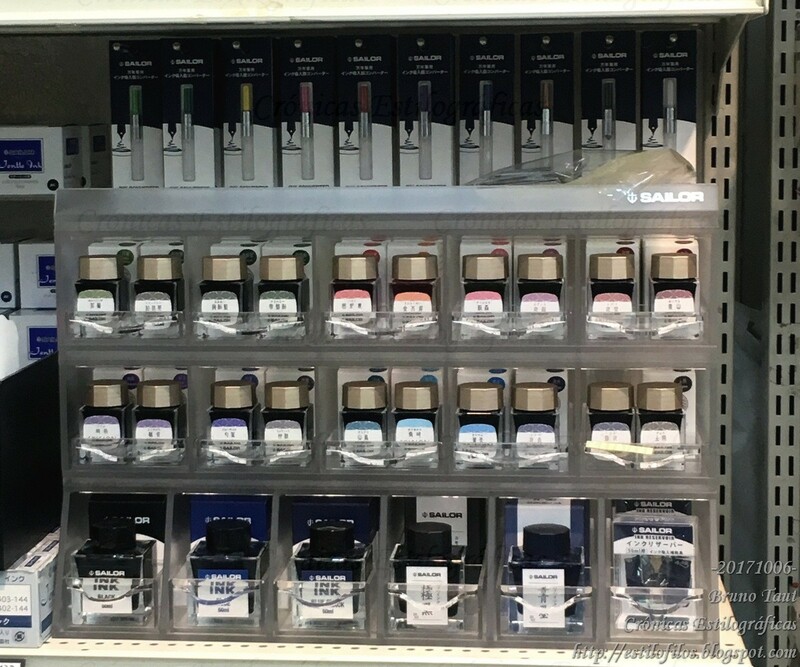 In any event, these moves are showing that the ink market is still attractive. Will it ever become saturated? Only at that time prices will go down. My thanks to FPN member and friend TinJapan. Where can one buy these and get them shipped to the United States? Please, retrowrench, contact me at katsura.rikyu at gmail dot com. © Copyright 2010-2019 Bruno Taut. All material on this website is copyrighted except when noted. Republication without permission is prohibited. To request permission, please email the author at katsura.rikyu at gmail.com. Zeynep's Write to Me Often!